That wasn't so bad at all, really. It wasn't outstanding, by any stretch of the imagination. But it wasn't entirely detestable for England's supporters. It didn't make them want to throw their television or hand-held device out of the nearest window, renounce their shiny new blue passport and hanker for Fabio Capello. 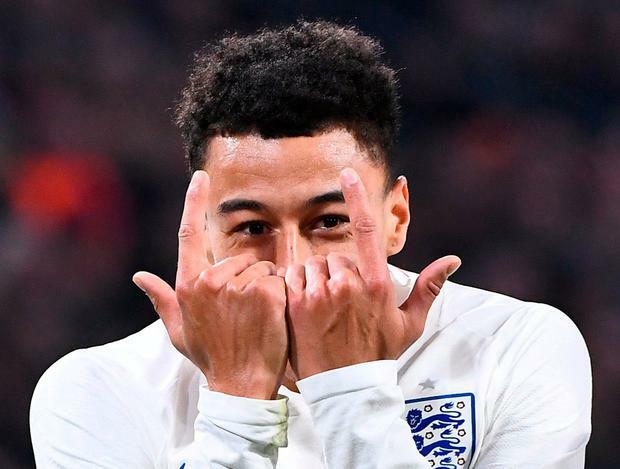 Jesse Lingard's cool low finish from 20 yards just before the hour mark gave England their first friendly win under Gareth Southgate, their first win over Holland since Euro 96, their first in Holland since 1969. And while their tempo dropped markedly in a drab last 20 minutes, the hard work had already been done by then. For much of the game, England performed a very passable impression indeed of an elite international football team. Brave and busy, collected and committed, pressing hard, counter-attacking with verve, ambitious in possession and lacking just a final ball: the sort of slickness and cohesion that really only comes with time and drilling. For obvious reasons, Southgate and Steve Holland have enjoyed very little of either. It always feels vaguely puzzling when people expect England to play with the fluency of a club side when they so evidently aren't. Of course, there was one team out there playing like England. But it wasn't England. And so we might want to caveat our blandishments with the fact that this was a desperately poor Holland side, so painfully lacking in confidence or invention that their absence from Russia this summer suddenly made perfect sense. They came to life only in the last half-hour as they chased an equaliser, and if Ronald Koeman didn't know it already, his first game in charge will have shown him the scale of the remedial work that will be required to restore the three-time World Cup finalists to their perch. Even so, England will come up against plenty of worse teams than Holland at the World Cup, and while you could single out individual imperfections, you would struggle to censure individual performances. Lingard was a buzzing bee, always recycling, always shifting, always just a few yards away from where you expect him to be. Alongside him, Alex Oxlade-Chamberlain's midfield barrelling offers an extra option against tight defences. Raheem Sterling and Marcus Rashford had little to work with up front, but did well enough with what they had. 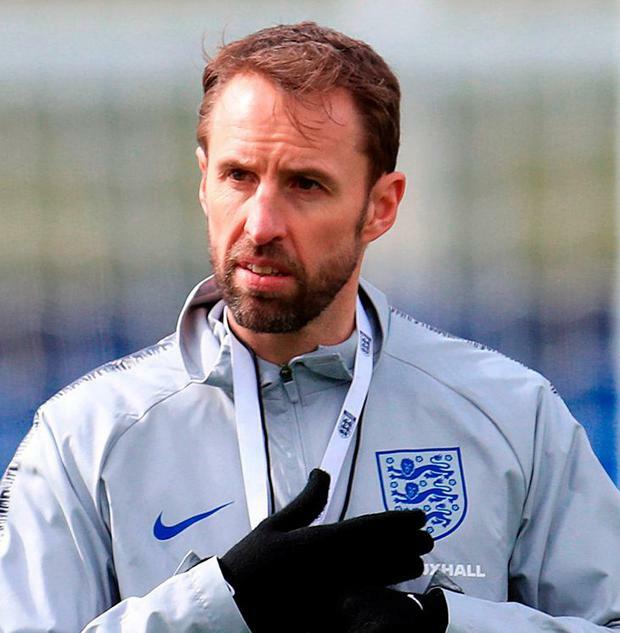 In defence, Southgate was partially rewarded for his eclectic decision to select three right-backs, albeit with Kyle Walker and Joe Gomez slotting into the centre, either side of John Stones. As it happened, Gomez lasted less than 10 minutes, falling awkwardly on his ankle after being smashed in the air by the mountainous Bas Dost, and replaced by Harry Maguire. But overall, Southgate's decision to prioritise mobility over bulk in that area of the pitch - a calculated gamble against the heft of Dost - worked well. For much of the game, though, England's dominance went unmatched by chances. Jordan Henderson glanced a header just wide. Goalkeeper Jeroen Zoet was forced into a frantic clearance to deny Sterling, in the clear after a Lingard pass. Just before half-time, his opposite number Jordan Pickford raced out of his goal, this time with far less successful consequences. It was a whipped corner from the right, and by the time Pickford realised he was going to get nowhere near it, the ball was on the head of Dost, whence it looped over the bar. Southgate resisted the urge to tinker at the start of the second and the pressure finally told. Danny Rose, impressive on the left, squared the ball into the area, only for the cross to be half-cleared.